This topic describes how to configure OneLogin to provide SSO for DocuSign - Subdomain Prod/Demo using SAML. If you want to set up SSO for DocuSign using form-based authentication, see Adding a Form-Based Application. Or if you need assistance configuring the legacy DocuSign connector see Configuring SAML for DocuSign. Search for DocuSign - Subdomain Prod/Demo and select it. Click Save to display additional configuration tabs. On the Configuration tab, ensure that you fill in both the DocuSign ID, which is a GUID. And the Host name for connecting to either Prod or Demo. On the Parameters tab, map DocuSign user attributes to OneLogin values. On the SSO tab, gather your SAML information. 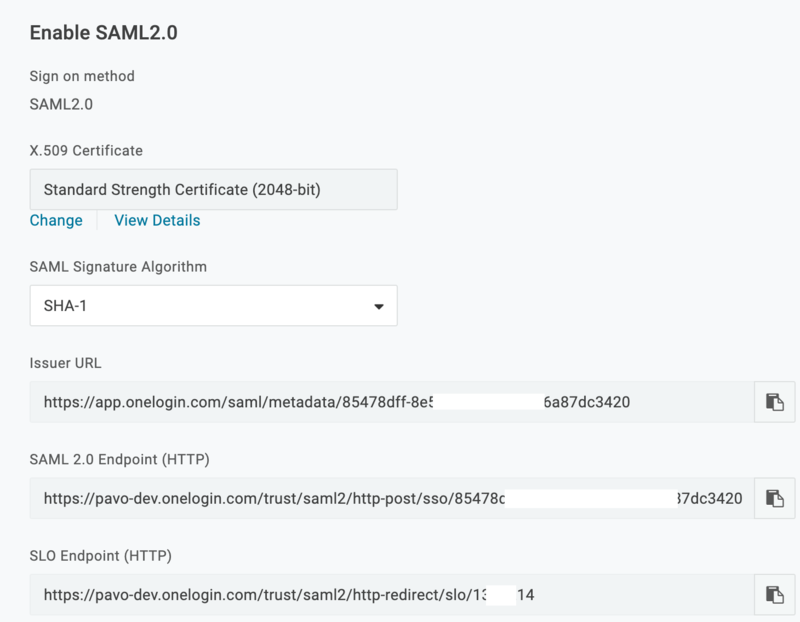 Copy the SAML2.0 Endpoint (HTTP) URL. Download the X.509 PEM Certificate. To download the X.509 PEM certificate, click View Details and select X.509 PEM from the drop-down below the X.509 Certificate field. Provide the URL and certificate to your DocuSign support team to configure the connection in DocuSign.